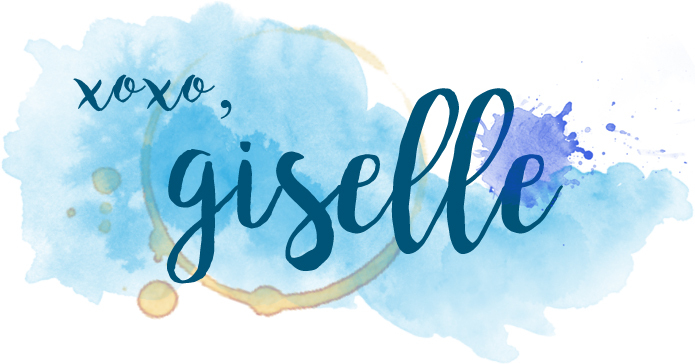 Two blog tours in two days!? You guys are getting a double whammy from me this week! This time around I am posting about this stunning new verse novel by Elizabeth Acevedo, The Poet X. When I was approached about being a part of this blog tour, I jumped at the chance. I immediately saw so much of myself in the main character of this story and her poetry. I wanted to do something a little different from my usual playlist or moodboard, and it's been a while since I've done a Real Talk, so I immediately knew what I had to talk about for this tour. And stick around for a bit, there's even a giveaway to enter! About the Book: A young girl in Harlem discovers slam poetry as a way to understand her mother’s religion and her own relationship to the world. Debut novel of renowned slam poet Elizabeth Acevedo. 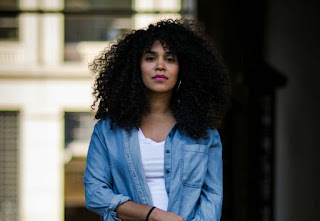 About the Author: ELIZABETH ACEVEDO is the youngest child and only daughter of Dominican immigrants. She holds a BA in Performing Arts from the George Washington University and an MFA in Creative Writing from the University of Maryland. With over fourteen years of performance poetry experience, Acevedo is a National Poetry Slam Champion, Cave Canem Fellow, CantoMundo Fellow, and participant of the Callaloo Writer's Workshop. She has two collections of poetry, Beastgirl & Other Origin Myths (YesYes Books, 2016) and winner of the 2016 Berkshire Prize, Medusa Reads La Negra’s Palm (Tupelo Press, forthcoming). The Poet X is her debut novel. She lives with her partner in Washington, DC. Enter the Giveaway Here! You could win a signed copy of The Poet X! I have this theory that 2018 is the year of Latinidad. Call it a feeling, a sort of tingling or building of butterflies and excitement. It started sometime around the release of Pixar’s Coco back in Noveber of 2017. As 2017 came to a close, I had this notion that something big was about to happen. Something so huge within the Latinx community across all forms of media, from books to film to even video games and other mediums in between, that it simply couldn’t be contained. By the end of 2017 with the release of The Shape of Water and The Last Jedi, Latin-Americans were growing in visibility in popular media. The trend also seemed to follow when it came to YA books and 2018 releases: something big was brewing. My mother sometimes jokes with me that I am more of a caribeña then she is, and she’s the one who was born in la isla encantada, Puerto Rico. She says this because I listen to raggaeton music, I read books by Latin-American authors, and I wear my Boriqua pride on my sleeve like a proud badge of honor. My culture – or more accurately, my mother’s culture that I now claim as my own – is something very near and dear to me. I may not have been born in Puerto Rico, I may not be fully Hispanic in heritage, I may not speak the most fluent Spanish, but none of that will ever detract from the love and pride I feel to be a part of the culture that is so unique, inclusive, and vividly rich with history and art. I was born and raised in central Florida, which has a high concentration Hispanic population, much of which is also Puerto Rican. Visits to the island throughout my lifetime have also helped me to better appreciate my culture and the heritage I share with so many others. I have a big family that I am fortunate enough to be largely in touch with, many of whom are also from the Caribbean and share a love for the little island they or their parents once called home. But this is now – growing up, I largely tried to hide what made me so different than the other kids at school. I didn’t see many characters like myself in TV or movies, I can’t recall a book I ever read growing up that was about a Latin girl not unlike myself, and most of all I was bullied a lot for all my differences. These differences I have come to celebrate were once buried deep within me. I didn’t see myself in movies or shows or books or even at school among my peers – although I grew up in a largely Hispanic community, where I went to school was an entirely different story. All of this is to say, maybe if I had seen a little bit more of myself among my everyday life, I wouldn’t have tried so hard to separate myself from it. It wouldn’t have felt like I was growing up in two different worlds, one where I could be myself and one where I had to conform in order to fit in. In previous years, the representation of Latinx peoples across popular media has been, to put it blunt, severely lacking. Even if Latin roles were written into television or movies, the portrayals more often than not were of stereotypical roles that often also took on some misogynistic tones and overlooked a great deal of the culture we so often associate with Latin identity. This all seemed to shift in the latter half of 2017 with movies and television shifting toward a much more inclusive world of media. The conversation surrounding diversity and representation in recent years has finally skewed toward some progress in the form of action. We can see the positive impact of representation in pop culture through the responses surrounding movies like Moana, Rogue One, and most recently Black Panther, where POC culture is not erased or reduced to a side character, but rather where we see a dramatic increase in lead roles. Hearing the story where Diego Luna took his father to see Rogue One and being overcome by emotion upon finding that his son didn’t change his accent for his role was a moment where countless Latin-American fans could say “hey wait, he sounds like I do! And this dude is in STAR WARS! That’s amazing!” It’s moments like this that lead to #RepresentationMatters among other hashtags that hold the weight of multiple peoples’ histories and cultures behind them. When I sat in that dark theater watching Coco with my mother, each time something happened where we could relate (like when Miguel’s abuelita chases people through the town square with a chancleta) we would just look at each other, and in that we just knew. I know if I had a movie like Coco as a kid, I wouldn’t have grown up trying so hard to hide the Latinidad that made me so different from my peers at the time. I would have found such a sense of pride in my culture that I have today much, much sooner than I initially did. The same goes for books. Growing up with my nose stuck in a book, finding myself between pages and among these characters, if I had been able to relate to even one Latina character in such a profound way as I do with books I read today, I think I truly would have spent less time trying to hide what made me so different and instead spent that time sharing and celebrating it. When I read books like Zoraida Cordova’s Brooklyn Brujas or Elizabeth Acevedo’s The Poet X, I see not only myself but little girls who I once was like. I push for representation like this for little kids today who have access to such a wealth of representation in the media, much unlike that which I grew up with. And I am only twenty years old, I can only imagine how older Latinx millennials feel now seeing this surge of representation in our media today. Most of all, I push for this representation for a very specific person in my life. My little cousin, who just turned eight, somehow knows that highlighter is what you put on your face and not what turns words yellow, and speaks better Spanish than I ever did at her age, is the reason I want so much more of this representation – not just of Latinidad, but of all cultures. Inclusivity is the key to progress, and if we limit ourselves to one form over another we are doing ourselves a disservice. Seeing my fellow Latinx people follow what is often branded as “the American Dream” fills me with a sense of pride – not because we are fulfilling some sort of stigmatized dream, but because this hallmark by which those who came before us measured their success is being honored time and time again today with each and every success in the Latin community. Even while I sit here writing this, listening to the Coco soundtrack (crying btw) and reflecting upon how much of myself I saw within the character of Xiomara, there is still a little way to go for representation in the media to get up-to-par with the rest of the world. As I’ve expressed in previous reviews of books with Latin-American main characters, it’s often hard to truly capture the culture in a way that becomes universal to those outside the culture without necessarily slipping into the age-old tropes and stereotypes we so often see. Especially when non-POC or non-Latinidad people take it upon themselves to write stories about Latin characters, there is often much room for error. It’s one thing when the character is simply Latinx and that’s a character trait of theirs; it becomes something else entirely when the character’s culture and history are the main focus of the story. Whatever the future holds for Latinidad, the trend so far in 2018 seems pretty dang amazing. I just hope it continues this way -- for Latinidad, for POC culture, and for all.